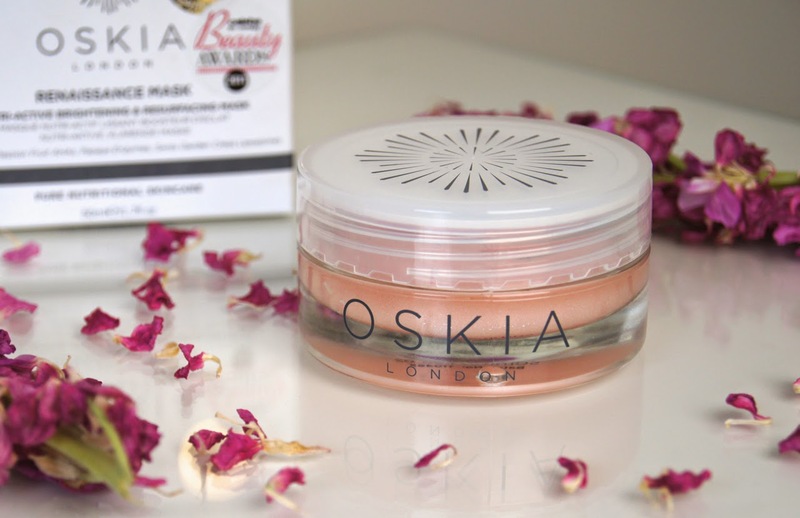 If you read my blog often, then you'll know just how bloomin' obsessed I am with Oskia's products; in my eyes, they can do no wrong. For years, I've been praying for their skincare to be stocked in-store at Space NK and, as soon as I heard the time had finally come, I practically sprinted there. As I've been trying to cut back on my spending recently, I restrained myself and only picked up the Oskia Renaissance Mask, but I can't guarantee I won't be back to purchase more ASAP. Everything I've tried from the brand, I've loved and the most recent addition to my skincare stocks is even more amazing than I expected. A mix of potent, nutrient-rich ingredients, including fruit acid AHAs (which gently exfoliate), lactic acid (which increases cell turnover and softens) and a prebiotic (which prevents bacteria building up on the skin), this mask is seriously hard-working. 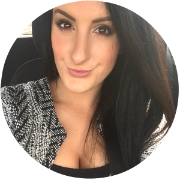 Primarily it's aimed at resurfacing and brightening the complexion, but the benefits don't stop there! Impressively, it also deeply cleanses the skin, unclogging any congestion, reduces the size of enlarged pores and gives skin cells a boost to regenerate, which helps to keep skin radiant, clear and refined. Cress liposomes, whatever they are, are also said to reduce melanin production by 47% to wherever it's applied, which will prevent skin pigmentation and promote clarity. If you're worried about your face growing older, then this is a mask that will reduce the signs of aging, including the appearance of fine lines, to keep skin looking fresher for longer. Despite the consistency appearing quite gel-like in the pot, as soon as you dip your finger into it, you realise it has the texture of a thick, syrupy balm, without the stickiness. On the skin, it feels rich and ultra nourishing, with an oily element to it. Smelling of rose-flavoured, turkish delight, I can imagine that the scent will divide people, with them either loving it or hating it. But, it isn't too strong or overwhelming and, although it's sweet, it isn't sickly. Although I always prefer my skincare to be free from added fragrance, this treatment hasn't aggravated my skin or caused any bad reactions, after giving it a road-test for a few weeks. Thanks to the luxurious formula and scent, it's such a treat to use. 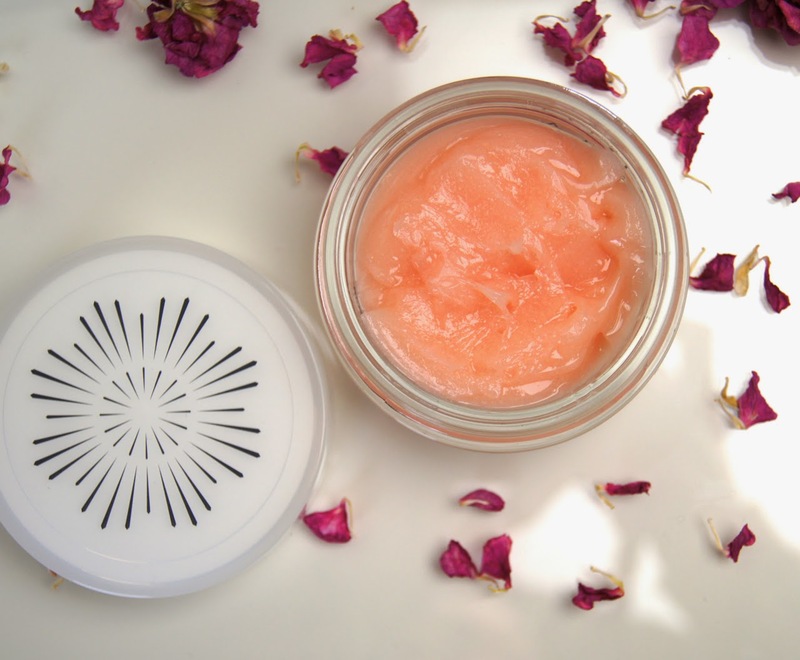 As you firmly massage it onto dry, cleansed skin, working in a circular motion, the once translucent, pale-pink gel turns white, signaling that it's been thoroughly applied and the ingredients have been activated. After leaving the mask to work its magic for 10-20 minutes (depending on your skin-type), you emulsify the oily balm by adding a little water and massaging again for a minute, before rinsing it off with warm water. As my skin is quite dry, I leave the mask on for the full amount of time, but you may want to reduce it if your skin is more normal/oily/sensitive. Whenever I remove any cleansers or treatment products from my face, I like to use a hand-hot, face cloth. Buffing across the skin gently, all the excess product is properly removed and it makes washing your face over the sink a whole lot less messy. Plus, you're adding in a further, exfoliating element to the mix, to leave skin even smoother. 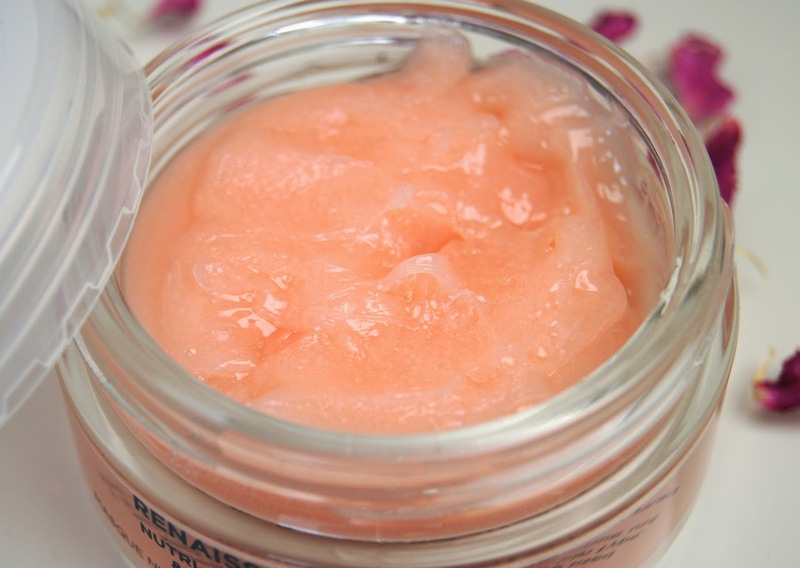 You get instant gratification with this mask; skin is left super smooth and soft, it looks fresh and has such a glow. Containing such a lush, oil content, the mask does leave behind a veil of moisture and immediately plumps the skin. Any dry patches are eaten up, leaving behind a perfectly polished, flake-free face and the results last for days. 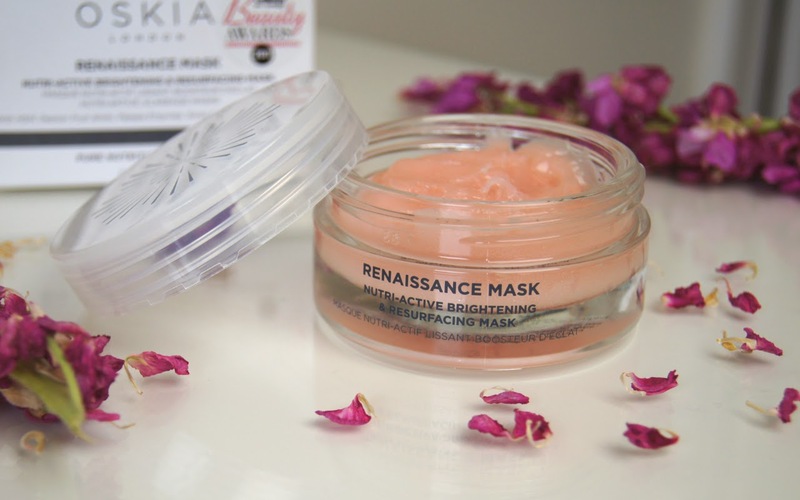 Often, exfoliating treatments that are full of harsh, scratchy beads can leave the skin red and looking irritated, but with Oskia's Renaissance Mask, it's a soothing way to rid skin of dead cells and improve clarity. I never experience any stinging whatsoever when I slather it on, even when I've got a fresh blemish going awnnn. Oskia recommend using this mask twice a week and, despite sticking to that, I've been wanting to use it every other day as it's such a gorgeous product and the results are second to none. All skin-types would benefit from using this mask. Whilst it is very rich and could seem better for drier or more mature skins, it would help to balance oilier complexions and it contains so many ingredients to treat blemishes and problem skin. Those with intolerant, sensitive faces could find the exfoliating formula and scent to be bothersome, though. At first glance, £48.50 appears to be a total rip off for what seems like such a slim glass jar, but it deceivingly holds more product than you'd expect (50ml). Needing the smallest blob of product per application, a little really goes a long way as the balm melts onto the skin and spreads easily. As the mask itself is so concentrated, it's impossible to apply too much, so despite the price being relatively high, you won't be making a dent in the pot for months! Have you tried any Oskia skincare? What is your favourite mask, at the moment? Lovely review! This looks like a fab mask although it's SO expensive! I've got the renaissance cleansing gel and it's absolutely gorgeous. I'd imagine them to smell the same? This sounds amazing, I have a serious mask addiction! Ah, it sounds like such a treat for the skin! Currently, I'm loving the new Kiehl's Cilantro mask, which I can only describe as a nourishing mask on steroids. Lovely stuff, plus it smells incredibly nice.